For some reason, this shot appeals to me far more than to most people. 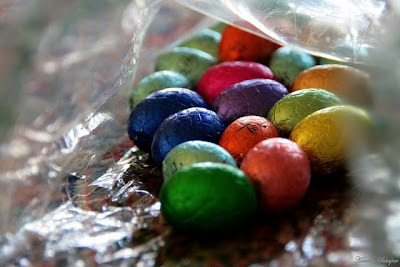 It is a bunch of small chocolate Easter eggs in a bag - but it reminds me of dragon's eggs in a nest. Maybe I read too much Pratchett (nah, there's no such thing as too much Pratchett).